Stylish homes are a tradition in Barbados, from stately plantation estates to charming chattel houses. In years past Barbadians travelled abroad to shop for furnishings and accessories to adorn their homes, but that is no longer necessary today. While dynamic and clever design teams certainly have a presence on the island, the average individual with the internet or cable TV, some time and a little imagination, can visit any of various home decor boutiques and pick out a little pick-me-up for the house. 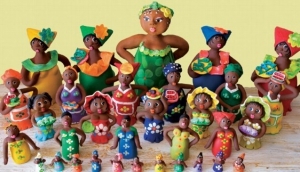 Local art, craft, textiles and pottery can also add a contemporary Caribbean touch.